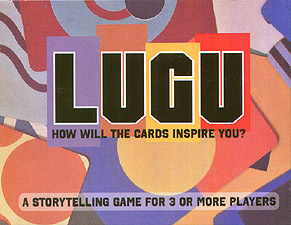 LUGU is a storytelling card game that all ages can enjoy. Three or more players use decks of abstract pictures to create a story together, while competing for the highest score. You can discover ludicrous locations, crazy characters and magnificent monsters. How will the cards inspire you?